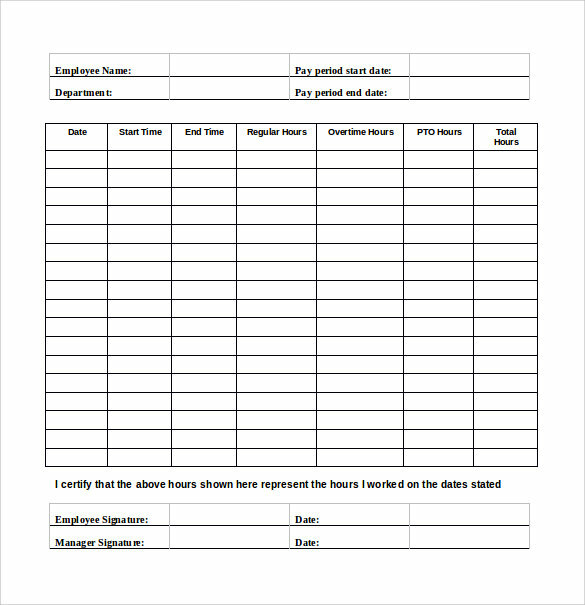 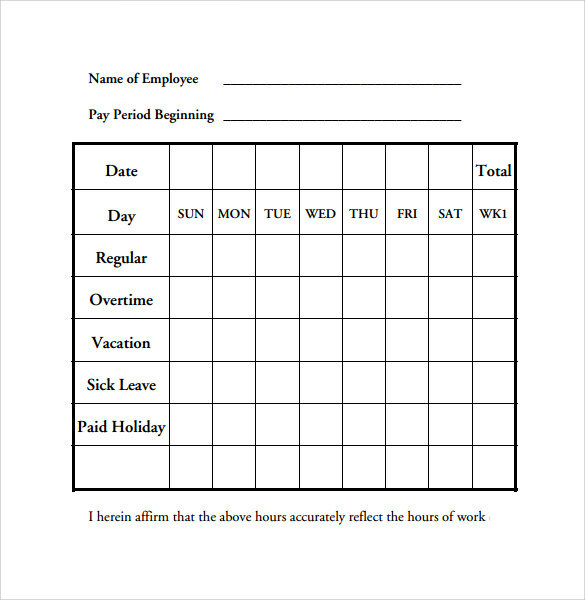 For all kinds of small to medium size business owners around the world use Employee Timesheet for time tracking. 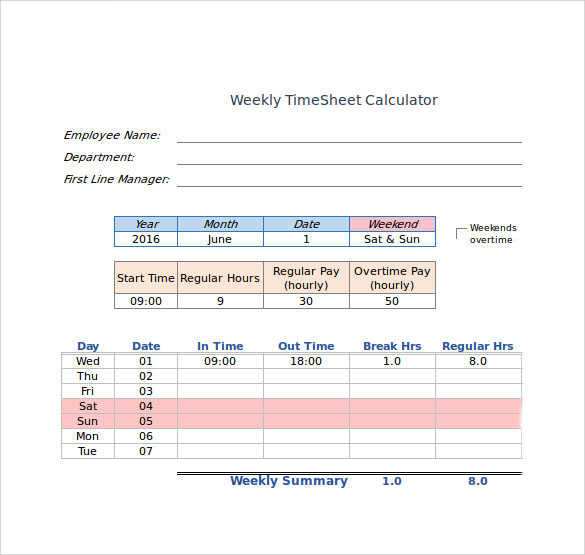 There are many available employee timesheets that calculate the time between the Start and End of the day and are easy to use. 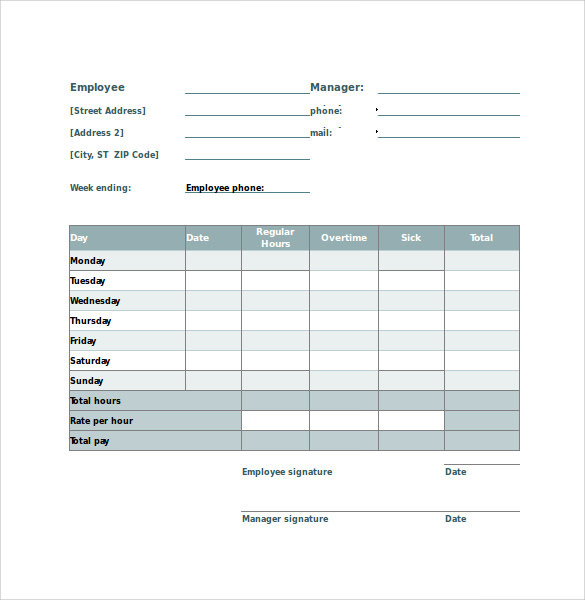 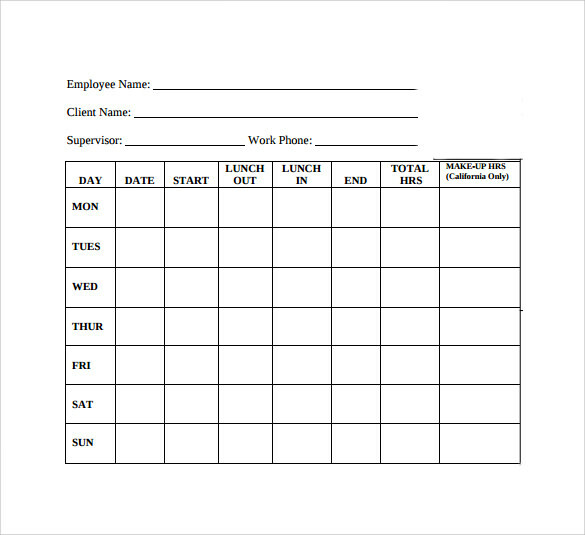 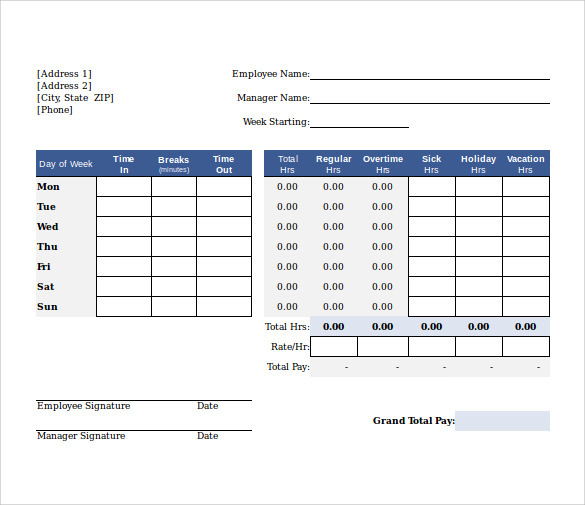 Some of the Time Sheet Templates provide the log in and log out option in place of start and end time. 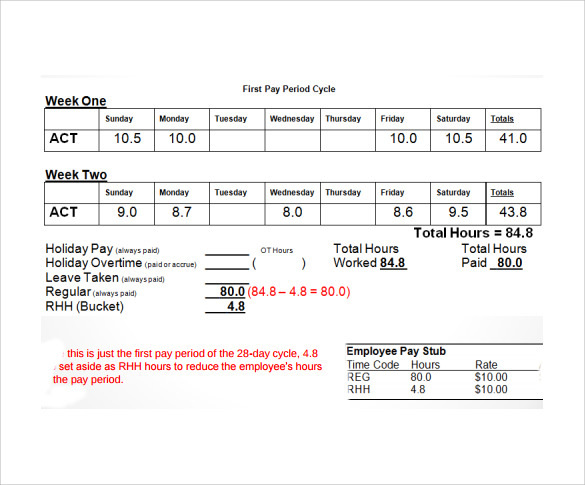 They also calculate work on the weekly, bi-weekly and monthly basis. 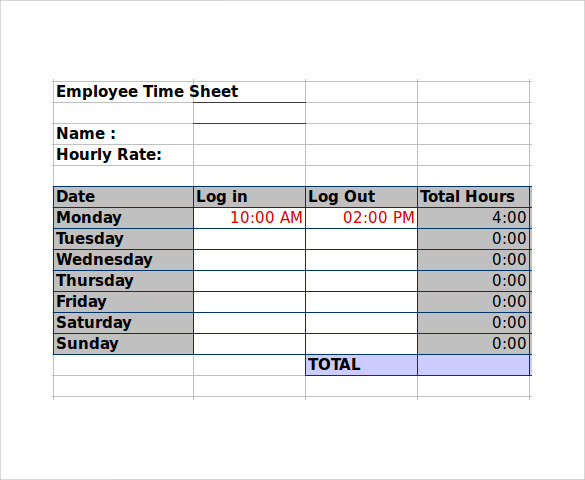 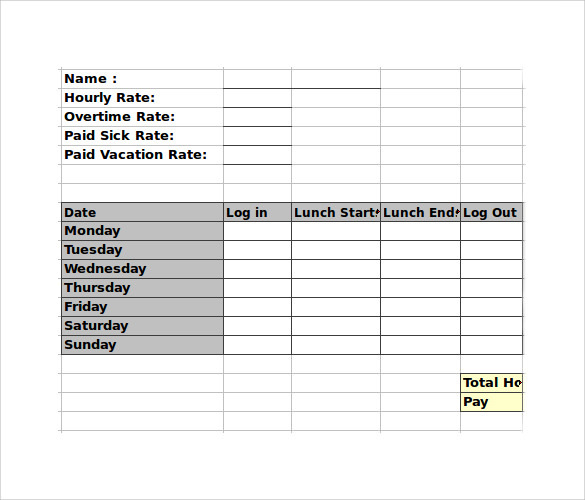 The sample employee timesheet calculator is the best way to know the format and use it for business purpose.